Motivo is the evolution of Nitto's Ultra High Performance street tires engineered to perform in all weather conditions while providing ride comfort, minimal road noise, and increased mileage. Motivo's all-season capability fulfills the demands of your active lifestyle by navigating you safely through challenging road and weather conditions. The Motivo is available with a 60,000 mile limited treadwear warranty, the industry's #1 warranty for all-season performance tires*. 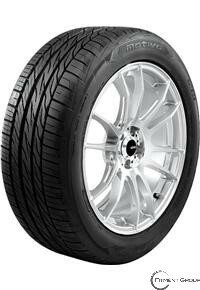 *Nitto Motivo 60,000 mile limited treadwear warranty. Longest treadwear warranty among all manufacturer published (as of May 2012) warranties for W & Y speed rated all-season ultra-high performance tires. Please refer to Nitto's warranty manual for full details.